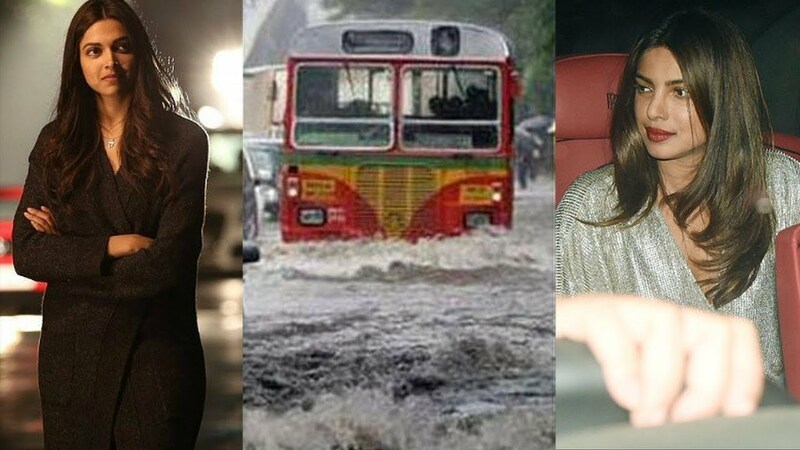 Have a Look on How Celebs are Handling Mumbai Rains: Life comes to A Halt, Spirit Moves On! All life in Mumbai has come to a standstill due to the heavy rainfall in the ongoing days. But as is always the case with the metropolitan, its spirit remains unharmed and keeps pushing the city forward. And now celebrities such as Madhuri Dixit, Priyanka Chopra, Sonakshi Sinha, and Farhan Akhtar among others have extended support and are spreading awareness by asking people to stay safe. The celebrities took to Twitter on Tuesday to share their concerns and all possible ways to avoid any inconvenience. As monsoon shows it's power, we Mumbaikers band together. Wishing safe passage to a warm and dry place for everyone. Take care. #mumbairains really lashing down. Please stay indoors and be safe everyone. Help those who need it. BMC helpline 1916, police 100. Stay safe everyone and plz stay home only.. Watching the rains from my window all day. I am praying for your safety and health in this downpour. There is no financial capital of any country like Mumbai which is treated so shabbily & irresponsibly by the authorities years after years. Even under such dire straits, the die hard spirit of this timeless city stays strong. If only the entire nation could learn a thing or two from this.